Winning the property game is just a matter of education. 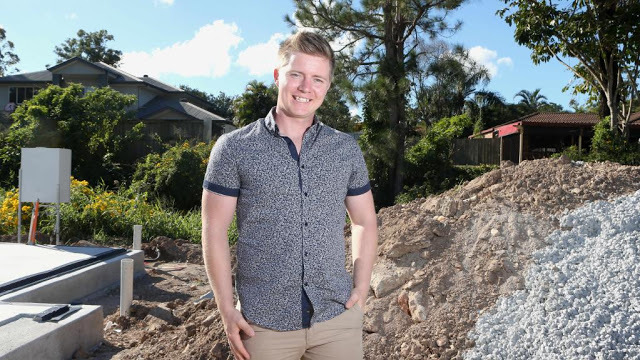 PROPERTY development is a matter of education, according to the co-founder of a groundbreaking program that’s seen teenagers net upwards of $90,000 for their first renovation project. Property Games co-founder and chief executive of the Future Housing Taskforce Kevin Doodney (pictured, inset) said anyone could be successful in property development if they were given the right direction. Seven teenagers who were in the first round of the Property Games last year were now reaping the rewards, including Jack Gould who turned his life away from drugs and towards real estate. 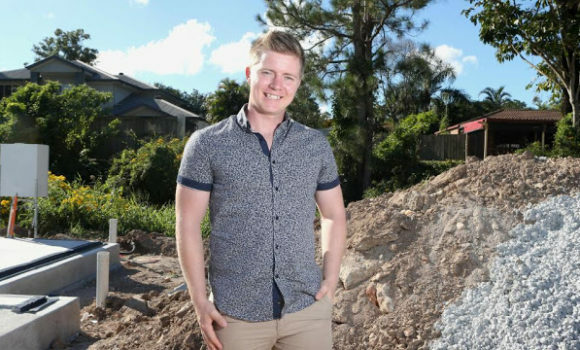 Gould, 24, is looking at profit of $490,000 on his current developments in Brisbane and is writing a book about his experiences. “At the moment I am doing $5.98m worth of developments in Brisbane with a projected profit share of $1.02m,” he said. Naomi Cooper, is looking at profit of $90,000 on her first renovation project. Picture: Jono Searle. Jack Gould, 24, is looking at profit of $490,000 on his current developments. Picture: Jono Searle. The Property Games was now in its second round, Doodney said, with seven contestants from as far apart as Geelong, Moree, Charters Towers, Sydney, Gold Coast and two from Brisbane. He said the contestants were put in a single location — in this case South Stradbroke Island — where they underwent extensive training from over 20 mentors including experts in real estate, architecture, accounting, feasibility, surveying, engineering, town planning, real estate and fund management. Doodney said participants would pitch their deals to potential joint venture partners at the upcoming Future Housing Task Force event in June. 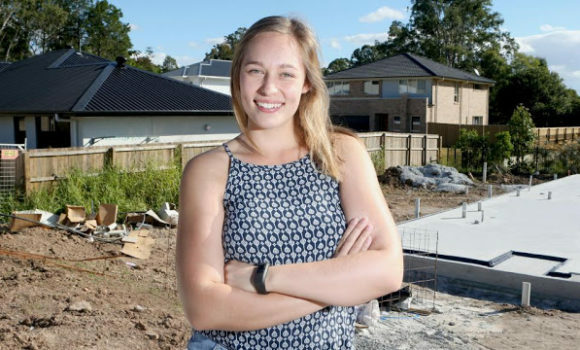 Naomi Cooper — a graduate of the first round of the Property Games — this week banked $90,000 profit off her project — subdivision of a large block in Shailer Park, Brisbane and renovation and sale of a home that was on it. Cooper had a joint venture partner put up the initial property at about $550,000, with a deal to split the profits 50-50. Some of her biggest costs were $33,000 concreting, $28,000 renovation, $16,000 earthworks, $16,000 council works, $16,000 bank interest and $10,000 in engineering costs. “The biggest eye-opener is just how accessible property is,” she said. She now plans to take three months off to work in a summer camp in the US. An award winner of prestige homes on the Gold Coast, Michael Mladen Kljaic founder of MKM Group resonates with this story and is excited for the next generation of property developers.